(Lancaster, Pa., March 5, 2019) – Pre-event player registrations for the Atlantic League’s Player Showcase in Lakeland, Fla. have been increasing at a rapid rate. Through Sunday, March 3, player registrations have more than doubled ALPB forecasts. 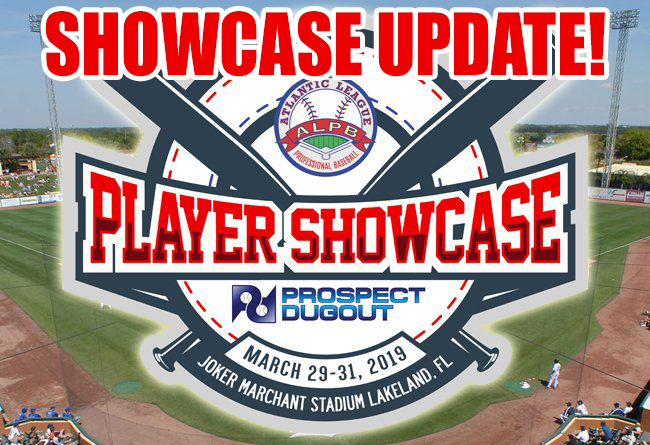 The Showcase will take place Friday, March 29th, through Sunday, March 31st, at TigerTown’s Joker Marchant Stadium and will be presented and co-produced by Prospect Dugout (PD). Over two dozen Major League Baseball clubs are expected to attend the Player Showcase. Representatives from other professional minor leagues, including the Mexican League, Frontier League, American Association and Can Am league have requested credentials. The event is closed to the general public. Due to the showcase nearing capacity, pre-registration for the event will close on Friday, March 15th. Those interested in signing up at the early bird rates of $150 or $250, depending on previous playing experience, are encouraged to register today by CLICKING HERE. Following March 15, players will still be permitted to register via the Prospect Dugout website at the rate of $350. The Atlantic League Player Showcase will provide a performance platform to highly skilled baseball players wishing to advance their careers with professional baseball organizations. The purpose of the Showcase is to promote player signings by MLB organizations and Atlantic League teams. MLB clubs may sign a player at any time during the event, and at the conclusion of the showcase, each ALPB club will sign at least one Showcase player to a 2019 contract.